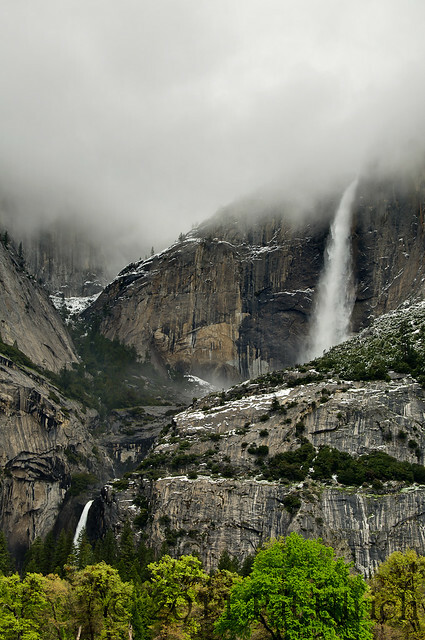 Yosemite Falls is a beautiful waterfall, and when all of the individual falls are considered together, it's considered the 5th tallest waterfall in the world. In these images, the Upper and Lower Falls are visible, as seen from across the valley floor. With the high water flows this spring, there are some nice seasonal pools forming on the valley floor, which can make for great reflections as well. These images are both HDR blends of 3 exposures. 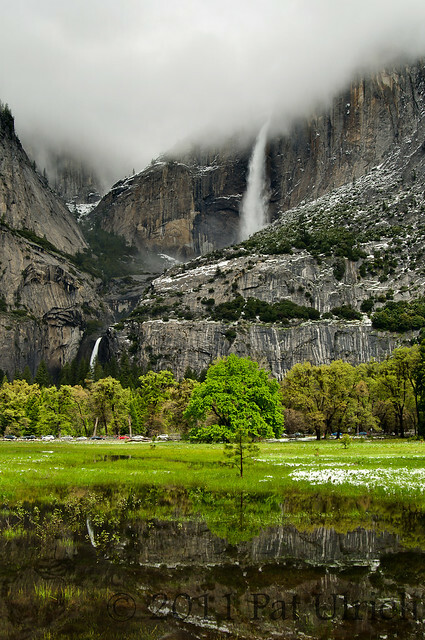 See more in my Yosemite National Park Gallery. 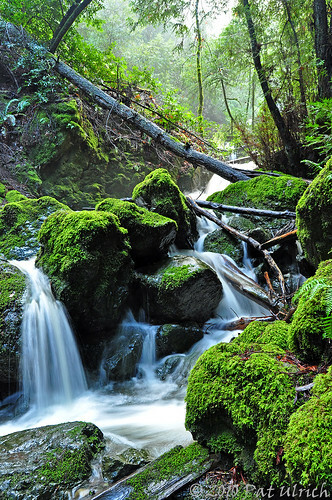 A few more shots from further up the trail along Cataract Falls in Marin County. 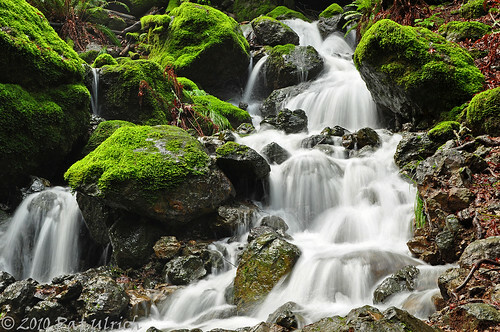 There is just something magic to me about the water flowing past those lush green covered stones -- especially in the middle of January! The following two shots were from the falls near the top of the trail before it levels out. Again I couldn't decide between a horizontal or vertical composition, so I went for both. I think the scene would not have been quite as compelling for me in the vertical if it wasn't for the redwood right beside the trail. 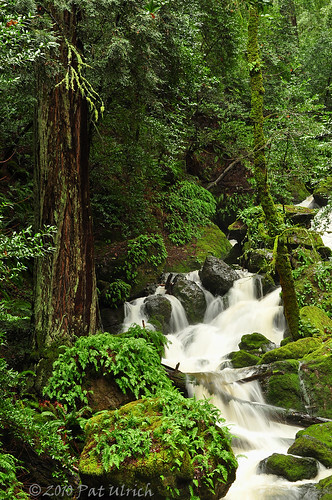 This weekend I really wanted to find some waterfalls since we've had so much rain in the Bay Area lately, and Cataract Falls on the western slopes of Mount Tamalpais has been on my list for quite some time. 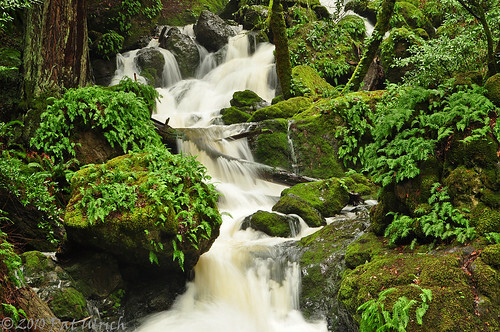 We picked an awesome day to see it for the first time, as the water was really flowing, and the overcast skies helped to bring out the awesome green colors of moss and ferns found all over the wet rocks. 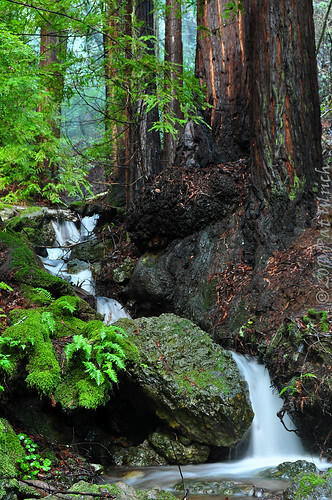 It almost had a feeling of walking through a tropical rain forest, although with the occasional redwood tree sprinkled in. Here's a vertical take on the same scene that I liked as well, with the lifting fog in the background. This was a relatively easy hike, although it is fairly steep as you follow the creek vertically past a number of large waterfalls. It's a hike well worth taking with all of the wet weather we've had, although I suggest getting there early, since there is only limited parking along the roadside, and it fills up quick. This seems to be the place to be though -- as I've seen this set of falls featured on SFGate.com and on one of the local news channels here. 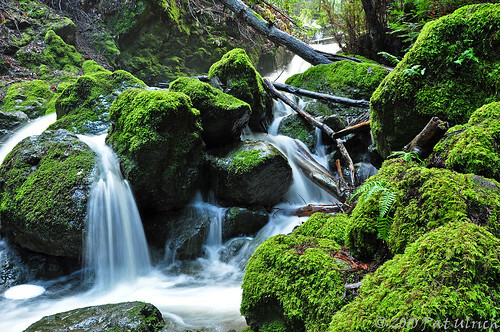 This last shot is of a tiny creek that was flowing into Alpine Lake Reservoir, before we even made it to the real falls.